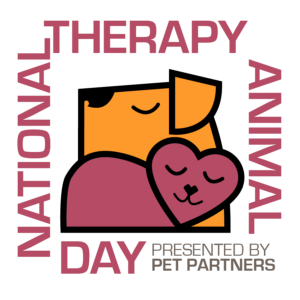 National Therapy Animal Day is on April 30, 2019. Therapy animals are used more and more often as we discover how much value they can add to healing and learning for people of all ages. Check here to read current news stories that exhibit the miracles that these animals can bring to us. 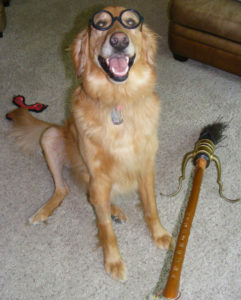 I am a huge animal lover and am/have been owned by several pets. Around my son’s 3rd birthday we were concerned about his speech development. He wasn’t much of a talker, but he was an expert at getting his needs met using other methods. He reminded me of the rabbit in the Frosty the Snowman special with all his non-verbal communication. He didn’t see a need to talk! 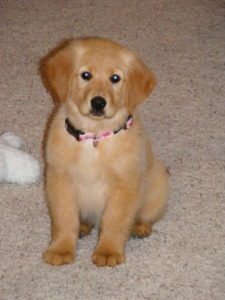 Around that same time we got a new golden retriever puppy, Katy. Katy saw Sam as another puppy playmate and as she was growing she could get a little rambunctious with Sam and sometimes knock him over. Of course, we worked with training Katy, she’s now a proud graduate of the Canine Good Citizenship program, but part of it was also teaching Sam to use the commands of sit, off, and down in a strong voice. Sam very quickly learned that talking and using his voice served a great purpose and he started using it more and more, not just with Katy, but with all of us. There was many a morning I would wake up to find Sam laying next to Katy’s bed chattering away telling her all about his adventures, hopes, and dreams. It was such a touching sight to see. Katy is an extremely tolerant dog and she loves anyone and everyone! She would make an ideal therapy dog and in fact, we went through some training to lead to it. 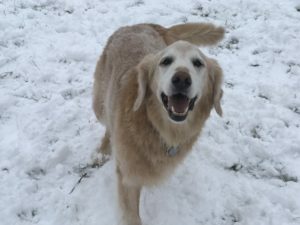 Unfortunately, the program we were working with ended their classes and Katy ended up having a series of knee surgeries to correct joint issues in both of her knees and a fight with osteosarcoma which resulted in her front leg needing to be amputated so her career as a therapy dog has never been realized. Katy spends hours at home providing us constant unconditional love and “therapy” though. One of the things she loves more than anything is to lay with us and be read to! She’s sat through the entire Harry Potter series twice! 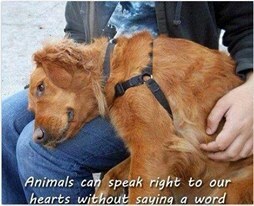 I’ve seen the value that the love and attention of a pet can bring to the mental well-being of the people around them. They really can be miracle workers! 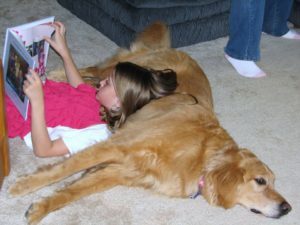 I would love to see the use of reading dogs in schools increase! 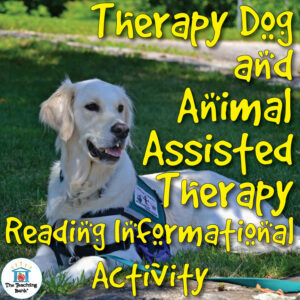 As part of my Wonder Novel Study, I created a reading informational activity about therapy dogs. I offer it outside of the novel study as a free download in my store. 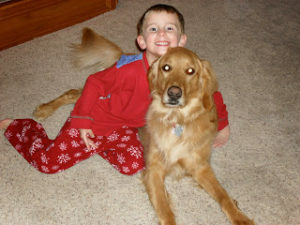 It is a wonderful activity to explore the use and benefits of therapy animals. 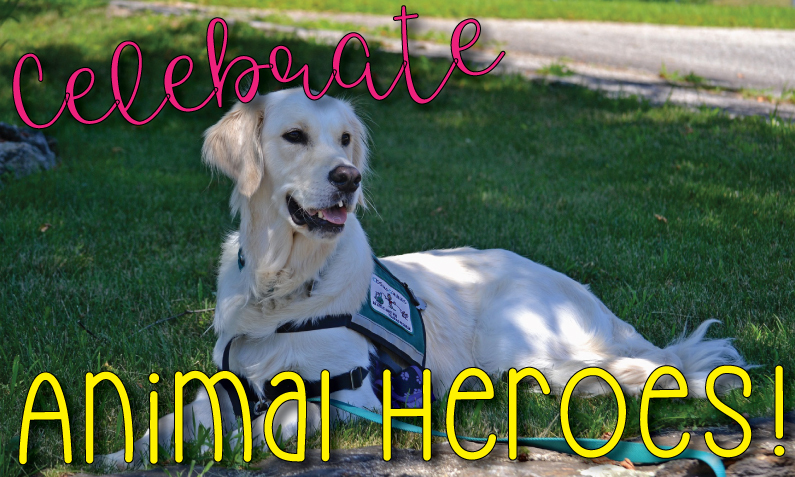 This is a great activity to celebrate all the animal heroes in our life for National Therapy Animal Day! Click on the picture to go to the FREE download. 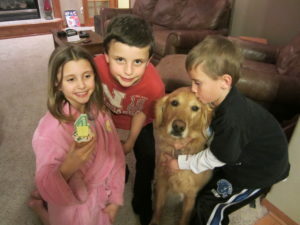 I am sad to report that Katy’s osteosarcoma returned in her lungs and spine. We sadly had to release her from the pain. 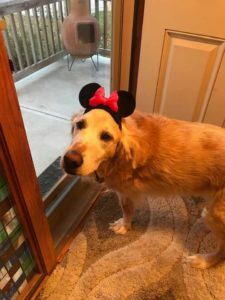 Katy was such an important member of our family and is the dog of my children’s childhoods. She will be deeply missed and loved always. In honor of Katy, and all the wonderful therapy animals out there, Happy National Therapy Animal Day! In our busy classrooms, we often find that social studies gets pushed to the side to make room for things that take priority for testing and data collection. It’s not that we don’t want to teach social studies, it’s just sometimes hard to find the time. One great way to incorporate social studies is to use a historical fiction novel study in reading. You get all the work on the high priority reading skills and hit the social studies curriculum at the same time. This method can be very engaging for students and they end up with a deeper impact when history comes to life for them in the story. One great book to use while teaching about the early colonization of America is Blood on the River by Elisa Carbone. 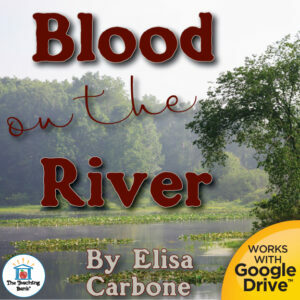 Blood on the River was first published in 2006. It tells the real-life story of Samuel Collier who voyages to the New World along with Captain John Smith to colonize Jamestown in 1607. Twelve-year-old Samuel Collier is a lowly commoner on the streets of London. So when he becomes the page of Captain John Smith and boards the Susan Constant, bound for the New World, he can’t believe his good fortune. He’s heard that gold washes ashore with every tide. But beginning with the stormy journey and his first contact with the native people, he realizes that the New World is nothing like he imagined. The lush Virginia shore where they establish the colony of James Town is both beautiful and forbidding, and it’s hard to know who’s a friend or foe. 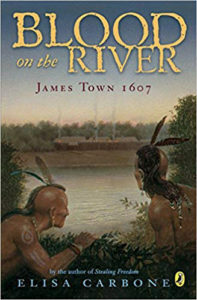 As he learns the language of the Powhatan Indians and observes Captain Smith’s wise diplomacy, Samuel begins to see that he can be whomever he wants to be in this new land. Elisa Carbone takes some creative license with the story of Samuel Collier, but the story is rooted in fact and is deeply researched. It gives students a thorough idea of what it must have been like to come to the New World at this time in history. It also chronicles the relationship, both positive and negative, of the colonists with the Powhatan tribe living in the Virginia area. Students learn the real-life story of Pocahontas and how she worked with Captain John Smith towards peace and cooperation with the colonists. 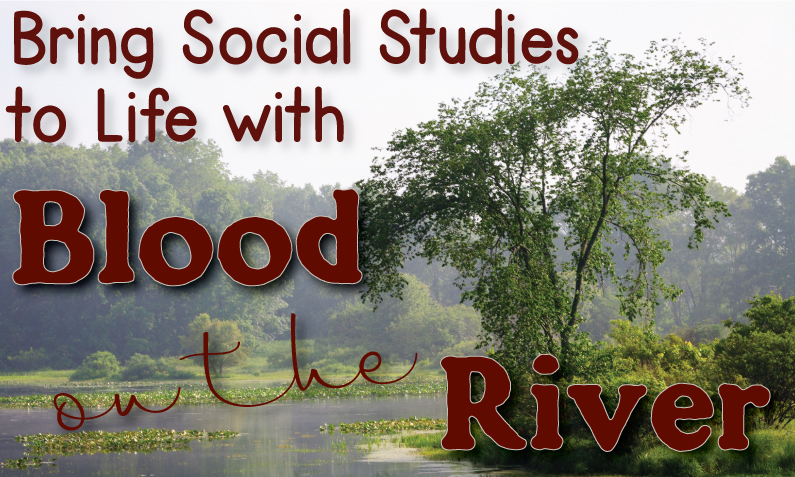 I offer a complete novel study to accompany Blood on the River for use in the classroom or homeschool. The unit includes both a printable format and a Google Drive™ format for use in a paperless classroom or with Google Classroom. 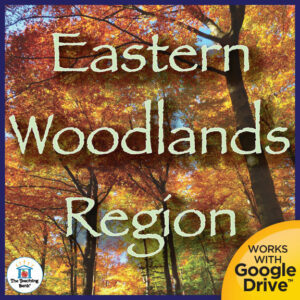 Eastern Woodlands Region US History Unit to learn about the Powhatan Empire. Learn about the colonization of the Virginia Colonies, including Jamestown. You can buy these units bundled with the Blood on the River Novel Study, at a discount. I think you will find that using historical fiction to integrate your social studies and ELA curriculum will broaden your students’ learning to make it more lasting and meaningful. The dreaded spring testing is almost over and now you are free to really have some fun with reading. A great book to use at this time of year is The Lightning Thief by Rick Riordan. The Lightning Thief is the first book in Riordan’s Percy Jackson series. It’s an engaging, modern take on Greek Mythology that your students will love. The Lightning Thief was first published in 2005 and was made into a movie which was released in 2010. Percy Jackson is a protagonist that many students who struggle with school and just being twelve can relate to. Twelve-year-old Percy Jackson is on the most dangerous quest of his life. With the help of a satyr and a daughter of Athena, Percy must journey across the United States to catch a thief who has stolen the original weapon of mass destruction — Zeus’ master bolt. Along the way, he must face a host of mythological enemies determined to stop him. Most of all, he must come to terms with a father he has never known, and an Oracle that has warned him of betrayal by a friend. This is a great novel to accompany a study of Greek Mythology. 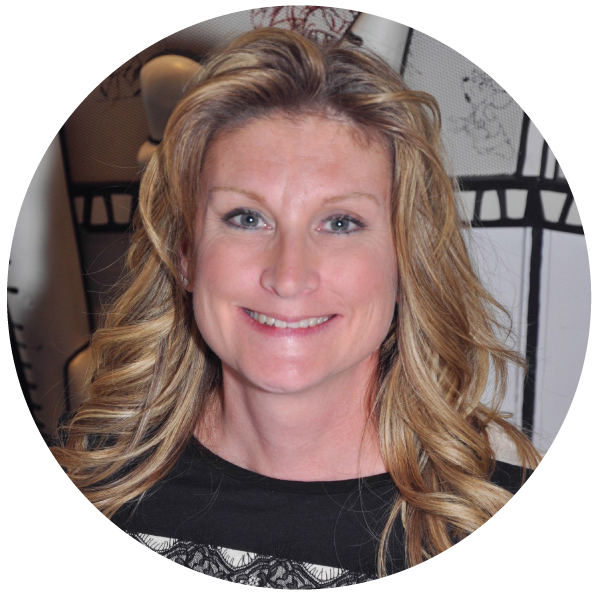 It brings the myths to life in a modern and engaging way for today’s students. 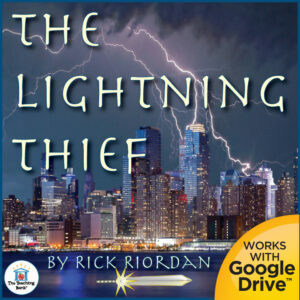 I offer a complete novel study to accompany The Lightning Thief that fully encompasses the Greek Mythology within the story for use in the classroom or homeschool. The unit includes both a printable format and a Google Drive™ format for use in a paperless classroom or with Google Classroom. 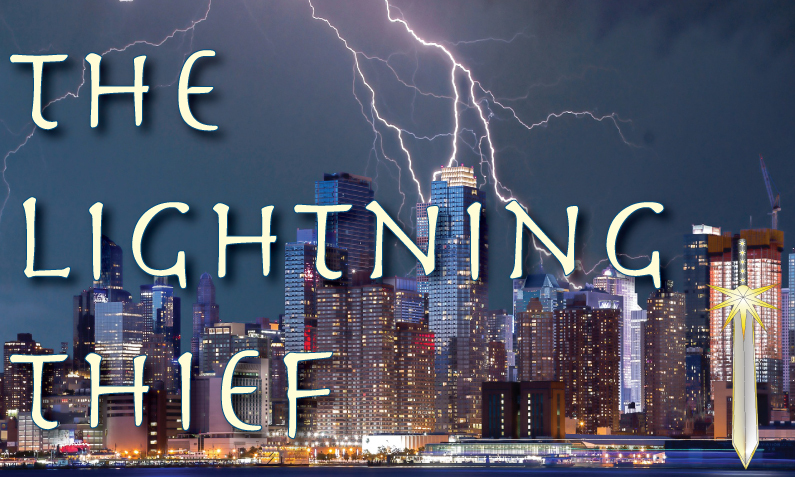 The Lightning Thief is always a favorite amongst even the most reluctant readers, and it provides the follow-up books on the Percy Jackson series for students to read for pleasure all summer long! 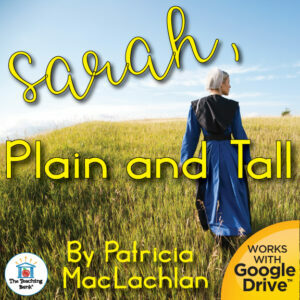 Sarah, Plain and Tall is a historical fiction novel set in the 19th Century Midwestern Plains written by Patricia MacLachlan. The story is a beautiful tale of exploring the themes of loneliness, loss, grief, and rebirth. This is a wonderful book to use for a novel study, literature circles, book clubs, or individual study in the classroom or home school. Sarah, Plain and Tall was first published in 1985. The novel has been honored with numerous awards over the years such as the1986 Newbery Medal, the 1986 Scott O’Dell Award for Historical Fiction, and the 1986 Golden Kite Award. Their mother died the day after Caleb was born. Their house on the prairie is quiet now, and Papa doesn’t sing anymore. Then Papa puts an ad in the paper, asking for a wife, and he receives a letter from Sarah Wheaton, of Maine. Papa, Anna, and Caleb write back. Caleb asks if she sings. Sarah decides to come for a month. She writes Papa: I will come by train. I will wear a yellow bonnet. I am plain and tall, and Tell the I sing. Anna and Caleb wait and wonder. Will Sarah be nice? Will she like them? Will she stay? Research the ecosystem of the prairie and/or the east coast of Maine. Research the Northeast coastal area of the United States. Research the Prairie (Midwest) region of the United States. 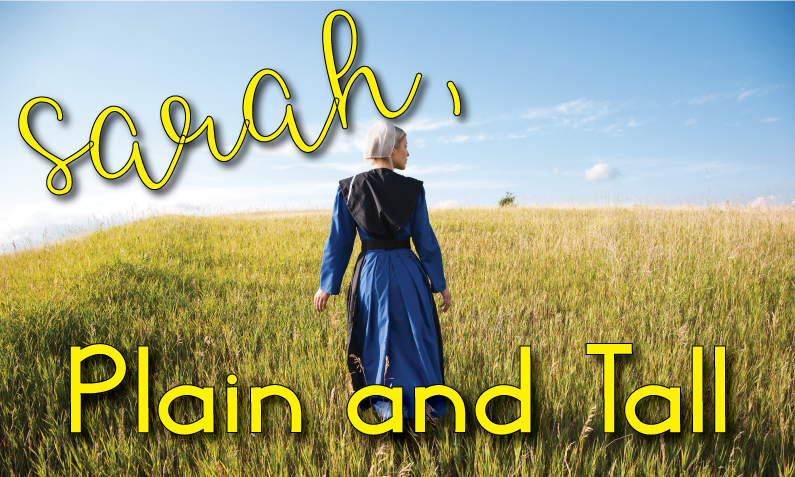 I offer a complete novel study to accompany Sarah, Plain and Tall for use in the classroom or homeschool. The unit includes both a printable format and a Google Drive™ format for use in a paperless classroom or with Google Classroom. Sarah, Plain and Tall is a beautiful, simple story of loss, grief, and taking the risk of opening yourself up to love again. Loser written by Newbery Award-winning author, Jerry Spinelli, is a powerful tale about how not fitting in may lead to an incredible life. This is a wonderful book to use for a novel study, literature circles, book clubs, or individual study in the classroom or home school. 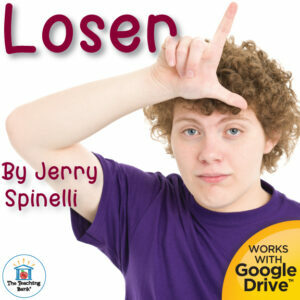 Loser was first published in 2002 and was nominated for the Mark Twain Award. The story is an endearing one about perseverance despite the odds told with humor and heart. Research the Vietnam War and the MIA’s. Discuss the culture of winners vs. losers. Pro/cons. 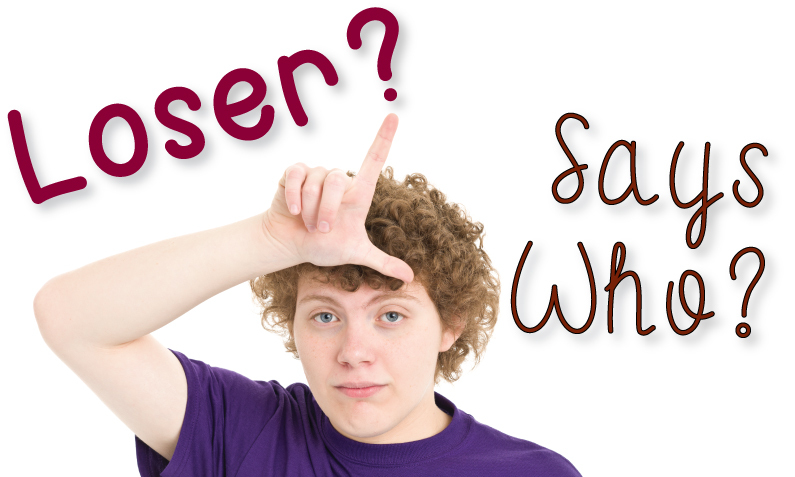 I offer a complete novel study to accompany Loser for use in the classroom or homeschool. The unit includes both a printable format and a Google Drive™ format for use in a paperless classroom or with Google Classroom. Loser is a wonderful story exploring a boy’s individuality surpassing the need to fit in and the genuine importance of failure. 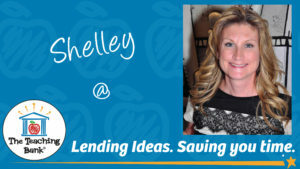 How, in the end, dancing to your own tune may lead you down the path to hero. One of my favorite (and my students’) theme to explore every year was the Chocolate Theme. We would read The Chocolate Touch by Patrick Skene Catling, Chocolate Fever by Richard Kimmel Smith, and for the cherry on top of our dessert, we read Charlie and the Chocolate Factory! Throughout the theme unit, we incorporated geography by mapping the different countries where the different ingredients of candy bars originate. We worked on letter writing by writing to different chocolate and candy companies with questions. This activity was particularly exciting because many of the companies would respond back to the students with offerings of trial samples or coupons to get free candy! Students learned the power they had as a consumer who shares feedback! I always started the unit out with The Chocolate Touch written by Patrick Skene Catling which was first published in 1952. 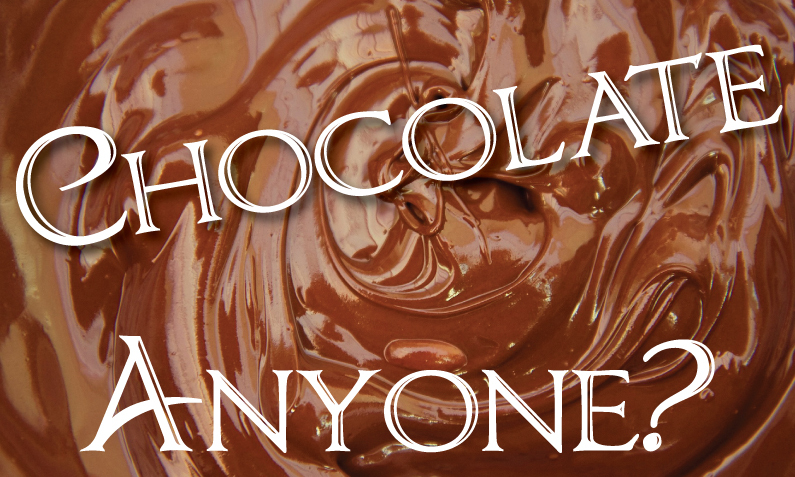 The story of loving chocolate never ages! John Midas loves chocolate and sweets more than anything and a wish turns his wildest dreams into a reality. Like King Midas before him, his touch is magic! This book leads to some great comparison activities with the King Midas story. Like King Midas, John soon learns that having too much of a great thing might not be as wonderful as he thought it would be! 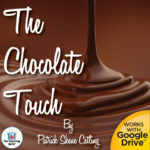 I offer a complete novel study to accompany The Chocolate Touch for use in the classroom or homeschool. The unit includes both a printable format and a Google Drive™ format for use in a paperless classroom or with Google Classroom. 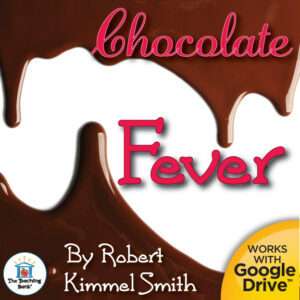 Chocolate Fever written by Richard Kimmel Smith in 1972, is a more humorous and adventurous tale of young Henry Green whose dream of eating nothing but chocolate comes true. Henry soon discovers that his new ability can be dangerous so he escapes and goes on the run! 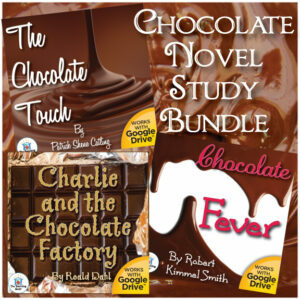 I offer a complete novel study to accompany Chocolate Fever for use in the classroom or homeschool. The unit includes both a printable format and a Google Drive™ format for use in a paperless classroom or with Google Classroom. 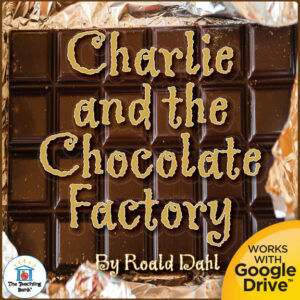 In my opinion, the best is saved for last, Roald Dahl’s 1964 classic, Charlie and the Chocolate Factory. This story has everything; a character to empathize with, several characters to learn from, humor, imagination, it really has it all. Singing the Oompa Loompa songs together is always a fun time that ends in fits of giggles! 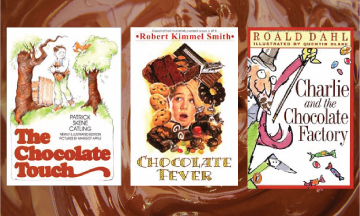 Tying different areas of the curriculum together, enjoying three wonderful novels together, the Chocolate Theme is a fun learning experience for all. It was truly one of the most favorite times I had with my students and it was something past students brought up as a favorite of their 4th-grade year with me. I encourage you to give it a try! Save when buying all three novel studies together as a bundle!